Summary: This walk begins in the quiet village of Levisham and tracks down into a deep valley to Levisham Beck, leading upstream to the Hole of Horcum, a deep gorge viewed by thousands every year. 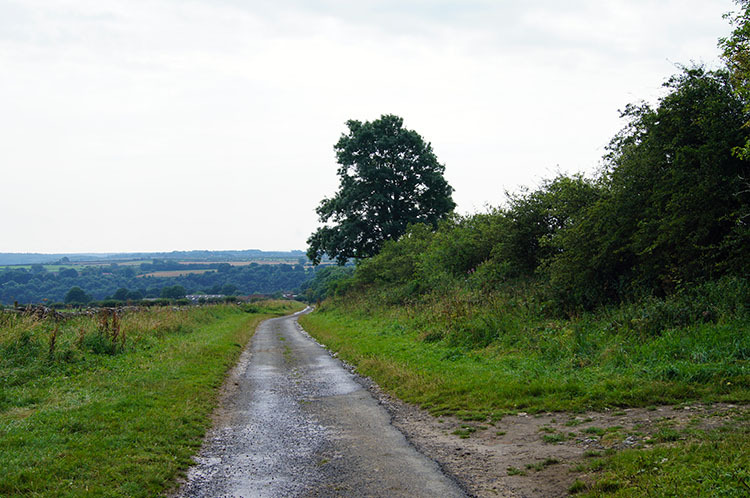 This is due to its close proximity to the A169 Pickering to Whitby road where motorists can admire the spectacular views at the purpose built lay-by. From here Fylingdales radar station can also be seen. From the viewpoint my walk continues onto Levisham Moor a quiet and breathtaking place which leads back into Levisham. Start the walk by parking up in Levisham village. 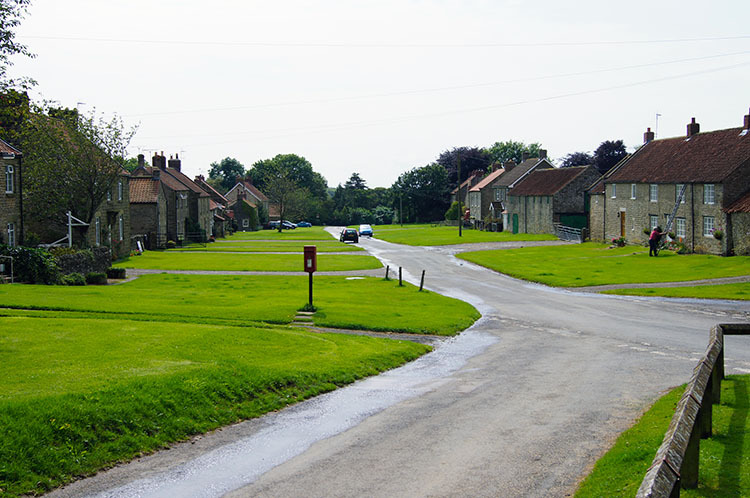 The village is just off the A169 and is a dead-end so after the walk be prepared to leave by the road from which you arrived. Being at the dead-end of a road Levisham is very quiet and I wouldn't imagine the routine of village life to be much different to the sleepy state I found it in on a fine late February morning. Apart from drinking hours in the Horseshoe Inn, the village pub perhaps. The walk is started by walking from the village following the road you have just come along and after passing the last houses dropping down the road until you reach a direction post on the left hand side pointing you to a path running alongside the hotel boundary hedge, follow this path rather than the one down into woods and the valley bottom. 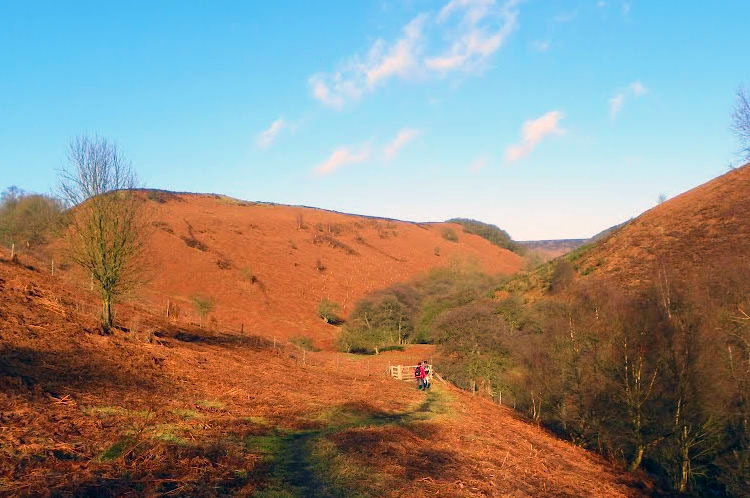 The next two miles are spent on the lovely and well kept path high on the side of the valley as you wind your way gently upstream along Levisham Brow and on towards Horcum Slack. From Horcum Slack pass Low Horcum and then the narrow deep sides begin to open out. 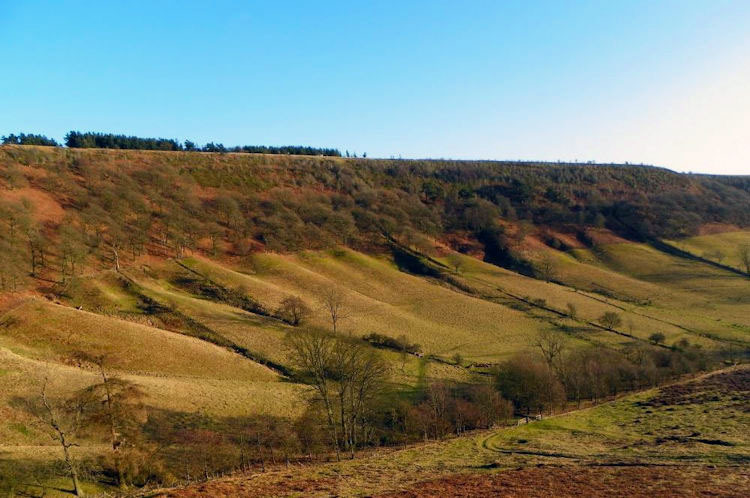 You soon begin to realise the magnitude of the massive gorge that is the Hole of Horcum. In what seems no time at all you have walked from a narrow valley bottom into a wide expanse 100 metres below the rest of the moorland. 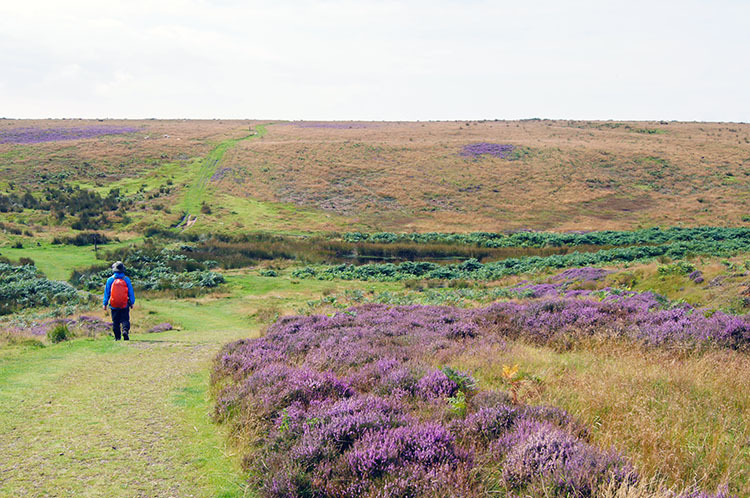 Horcum Hole is simply spectacular and is definitely a must do walk on the North York Moors. 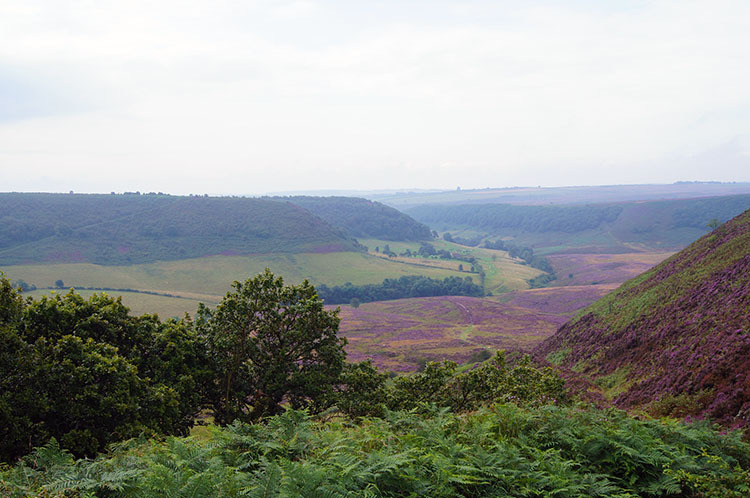 The whole walk for me so far had been enchanting and at Horcum Hole the magnificent chasm I stood in was a thrilling sight. All too soon you must climb your way out of Horcum Hole but at least you can look back down at all its splendour when you are catching your breath up on the top. 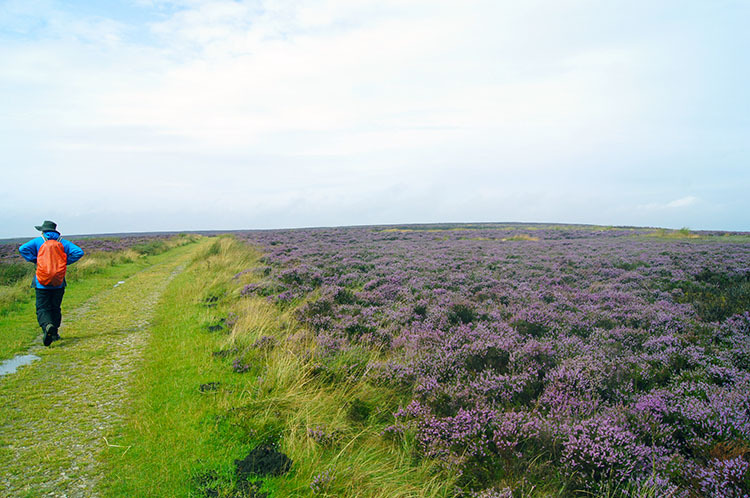 Once breath is regained then take a westerly course onto Levisham Moor. 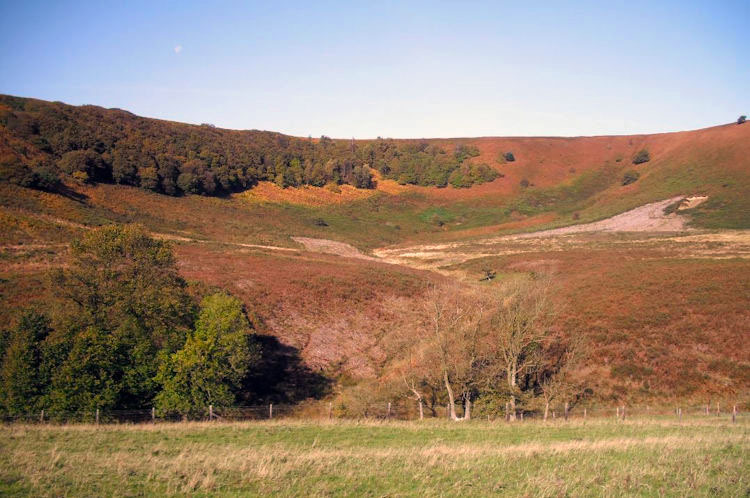 As you walk further onto the moor the distance drowns away the noise of traffic on the A169, the Hole of Horcum's one drawback. 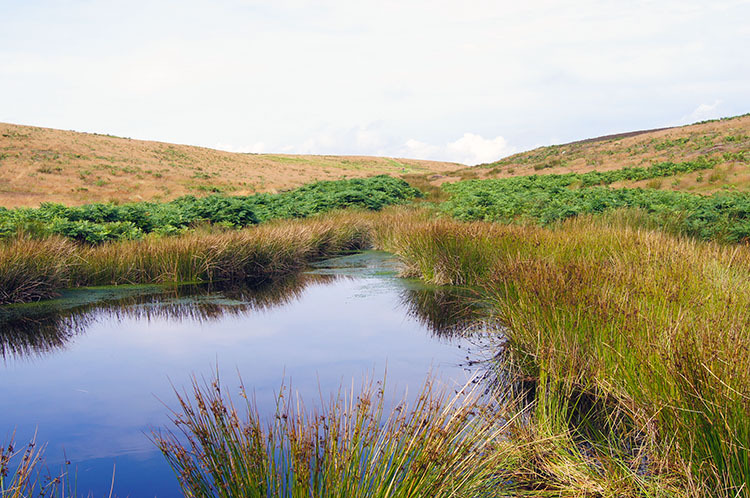 Enjoy the next hour walking the two miles of moorland back to Dundale Rigg. The crossing of Levisham Moor is enjoyable all year round. 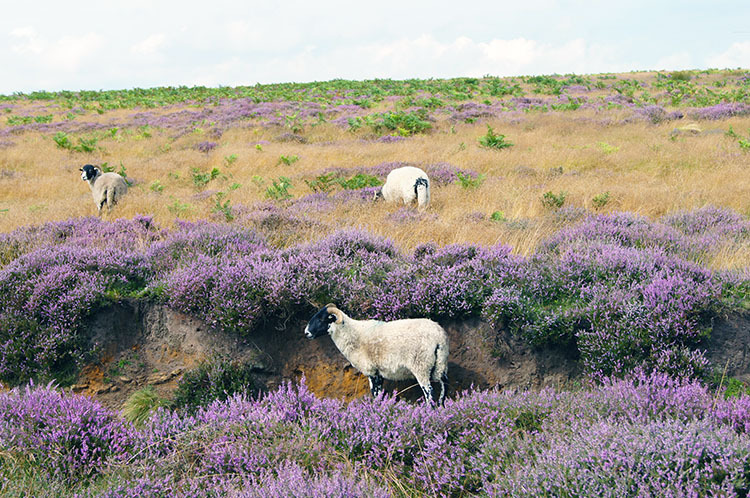 Many prefer to walk the moor in late Summer and early Autumn for the flourish of purple Heather flower and indeed it is spectacular but the russet brown colours of Spring, early Summer and late Autumn have their appeal too, as does the snow carpet of winter. From Dundale Rigg you can follow a bridleway back to Levisham. 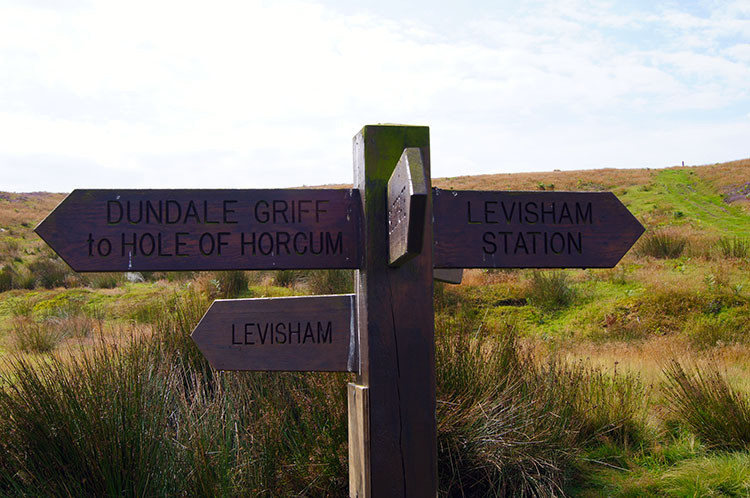 An alternative that adds a mile is to follow the signs to Dundale Griff another valley walk that rejoins Levisham Brow. 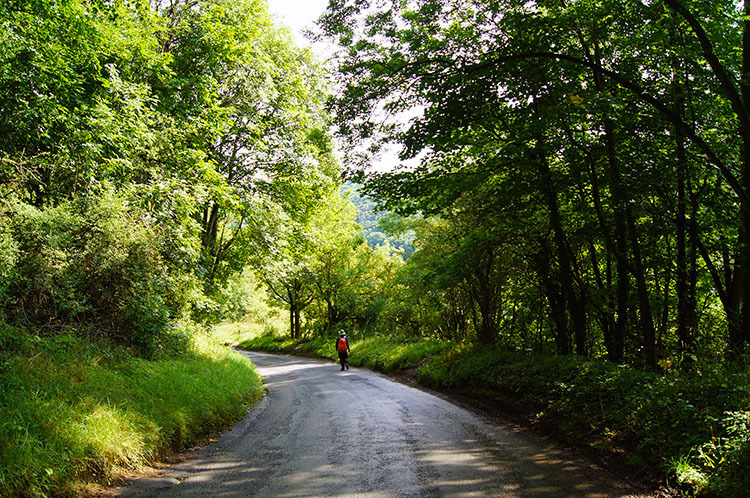 Either way is delightful and leads you home to the end of a great half-day walk. If the pub is open celebrate the walk with a drink.